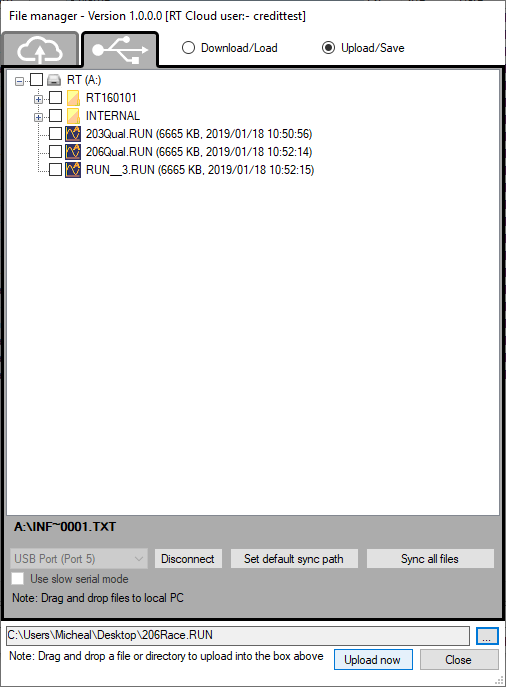 When a RT device is connected to the PC via USB cable, it's internal storage can be accessed using the File Manager. First select the USB port that the RT device is connected and click the "Connect" button next to it. Files and directories in that device will then be displayed in the file tree area as shown in the top image. If failed to connect via USB, you can use "slow serial mode" to connect to the device as a standard serial connection. 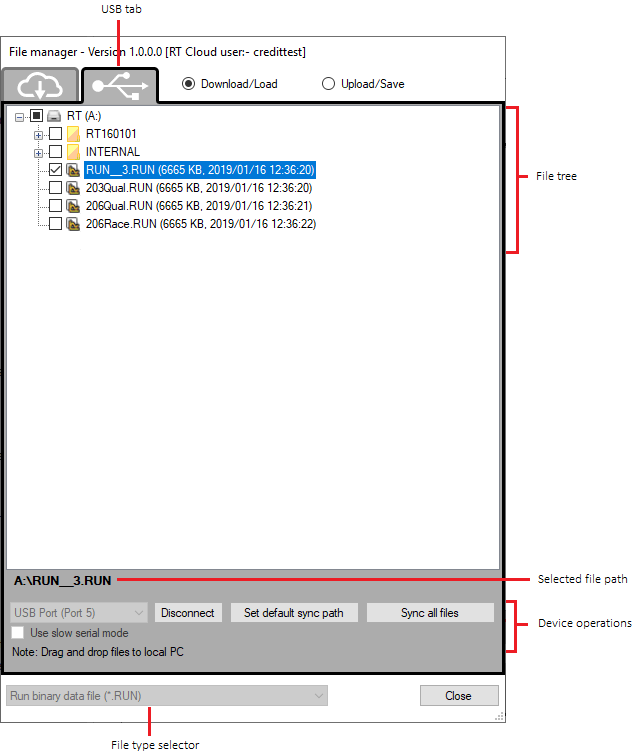 There are 3 methods to download files from RT device to PC. 2.Right click on a file name and select the "Download" option. First set a local PC directory to sync files by clicking button. Then click on button to synchronise all files to that directory. Note that the file type selector at the bottom will be disabled as all file types will be visible in the file tree area in this tab of the File Manager. Users can upload files to their RT device using the File Manager using the following two methods. 1. Simply right click on a directory and choose the "Upload" option. 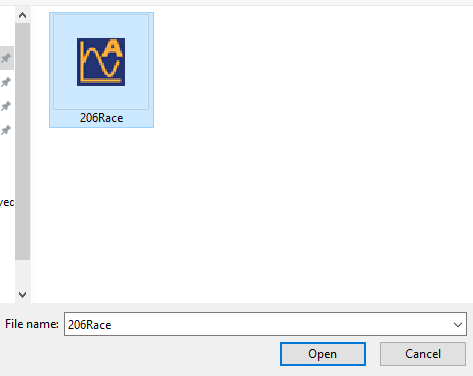 Select the file in the open file dialog and click "Open". 2. Click the "Upload/Save" radio button at the top right. Now select a file to upload either by clicking the button at the bottom right or drag and drop the file to the file path area next to it. Finally click "Upload now" to upload the file to the RT device. To format the remote drive, right click on the drive and select format, the entire contents of the internal drive will be cleared. To create a new folder in the RT device internal storage, right click on any existing folder and select 'New folder' from menu.